We get a lot of orders for farm sheds in WA, and we’re pleased when we recently got one in Crossman. This one was extremely interesting because the person for whom we built the shed was away while we installed it. The shed was a premier domestic shed, and we ended up giving it a few special touches to make sure that it was perfect for its surroundings–both immediate and further out. We have a great assortment of farm sheds. All are ShedSafe certified, which means that they will always be the correct shed for the wind characteristics of any piece of land we erect them on. In addition, all of our sheds come with a 10-year warranty on structural pieces and a 15-year warranty on the cladding. For farm use, we have garages, workshops, arena sheds, hay sheds, machinery sheds, storage sheds, stables and barns. We have all of these sheds and barns in kit form, but we can also customise all of them to fit whatever needs you might have. The barns come in both American Design and Aussie Design. American barns have a higher and wider breezeway. This helps accommodate boats, caravans and horse floats. American Design barns also work great for installing stables and can be customised with a mezzanine floor for more upper level storage space. The mezzanine floor can also be used as an outside balcony by extending it out. 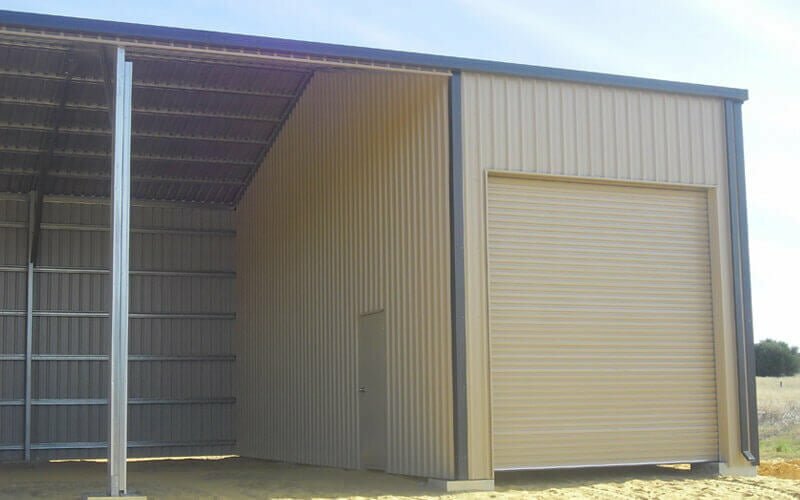 Aussie barns can be fitted with a lot of “extras,” including extra roller doors, skylights, awnings, mezzanine floors, ventilation, personal access doors and internal walls. On all of our barns, length and width can be adjusted to suit your needs while staying within budgetary constraints. Call 1300 778 628 for more information about sheds that make a great farm even better.